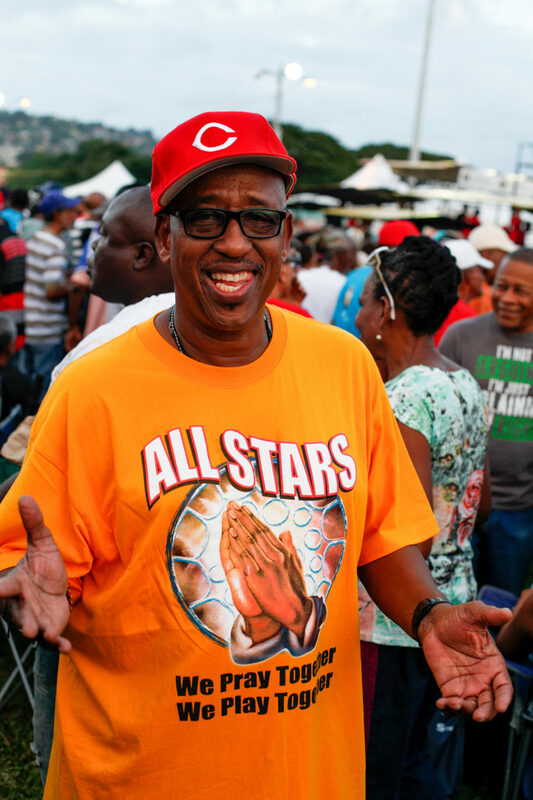 While snow blankets Afropop's home base in Brooklyn, the heat is only rising in Trinidad as we approach Carnival. 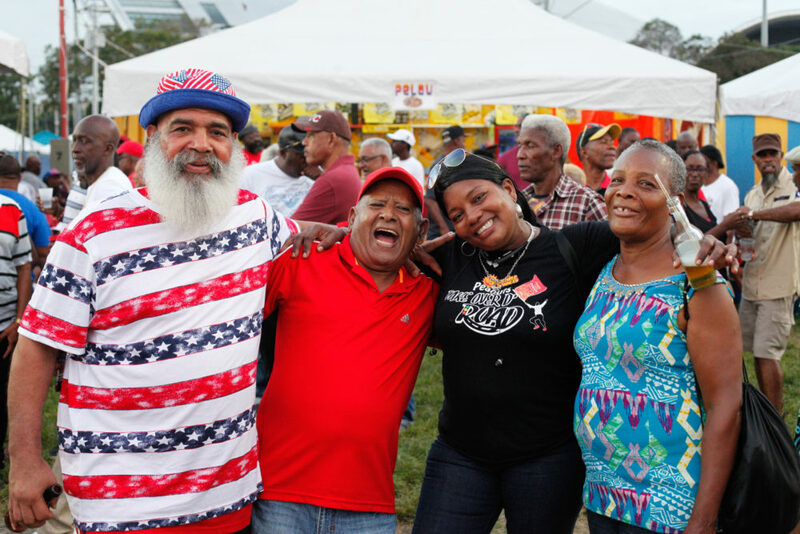 Carnival season in Trinidad and Tobago stretches from the beginning of the year to the Monday and Tuesday before Ash Wednesday, a date that shifts with the liturgical calendar. 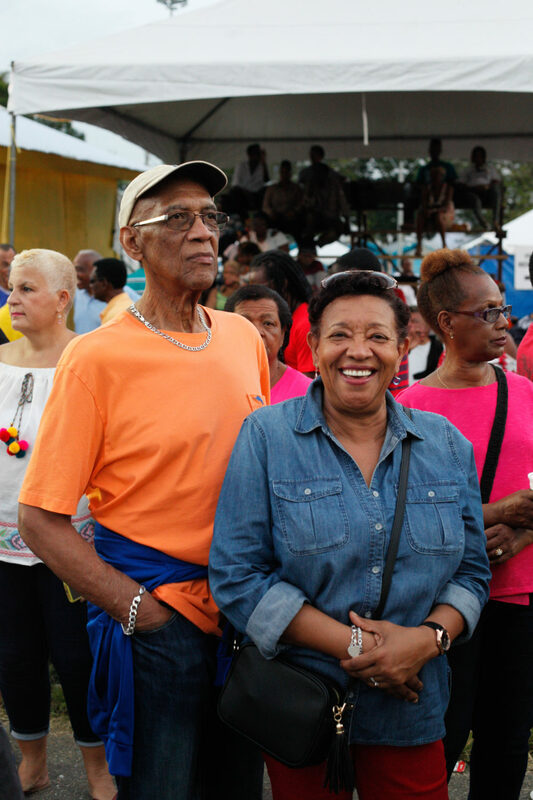 This year, Ash Wednesday falls on Feb. 14, making the season a short one, overflowing with concerts, competitions and liquor-soaked fetes day and night. 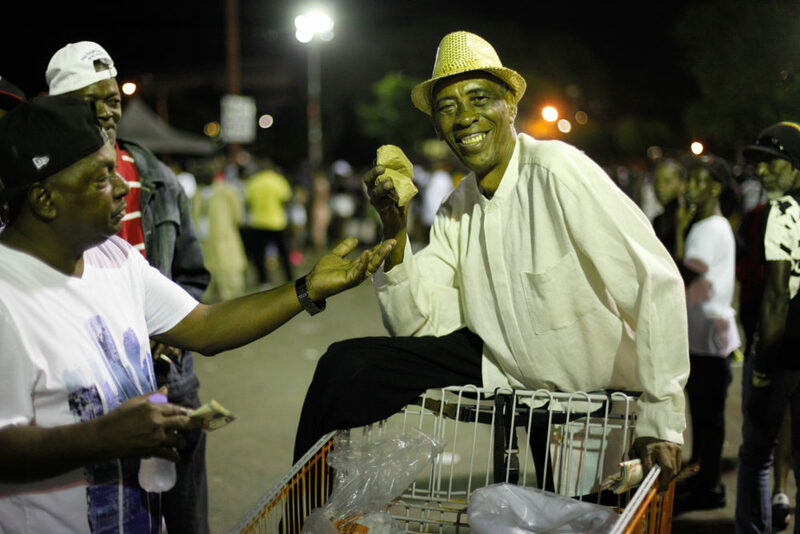 Although there are concerns about the money feeding Carnival this year, the festivities are mostly alive and well. 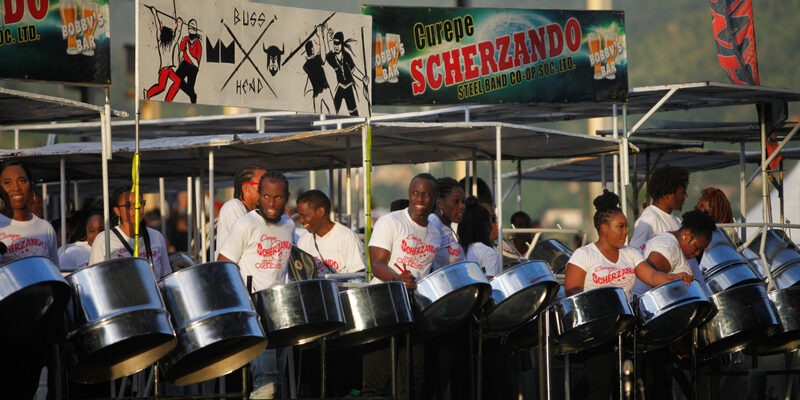 On top of the concerts and fetes, in these weeks leading up to the real bacchanal--Carnival Monday and Tuesday--the sounds of the steelpan reverberate through the night, every night. 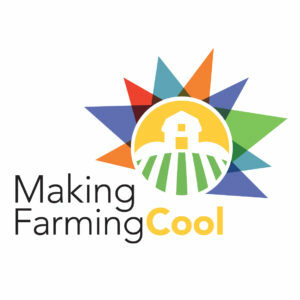 If you know where to look (made easy by this handy website), you can make your way to the panyards every night and soak up the vibes. 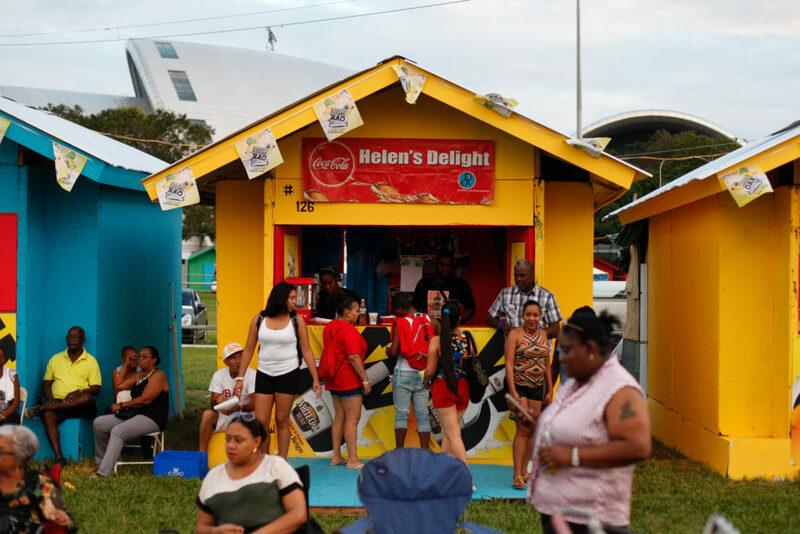 Most of the yards sell beer, bake and shark, and other snacks, hosting dozens of fans every night who chat and listen to the 120-person steelbands running through their pieces. 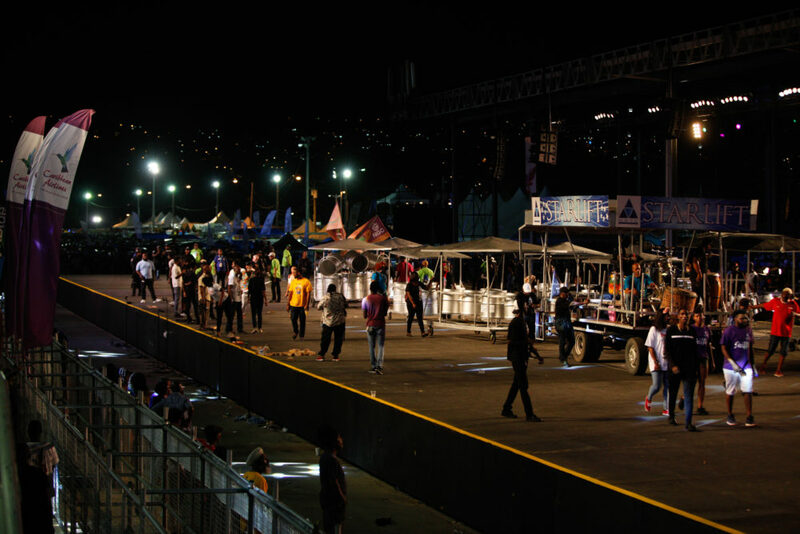 Back in 2016, we brought you sounds and sights from the panyards in Brooklyn, but here in Trinidad, the concept is brought 10 degrees higher. 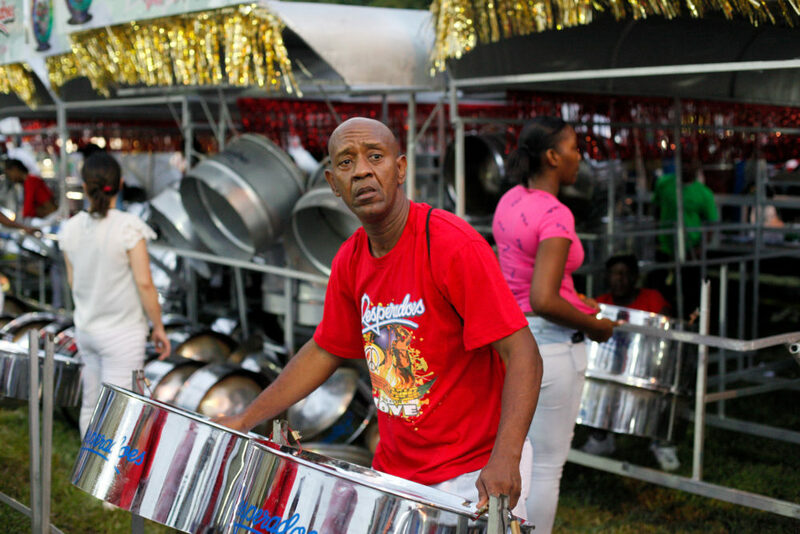 After all, the steelpan, better known just as "pan," is the heartbeat of Trinidad; its national instrument, birthed from the rough neighborhood of Laventille and carried to international stardom. 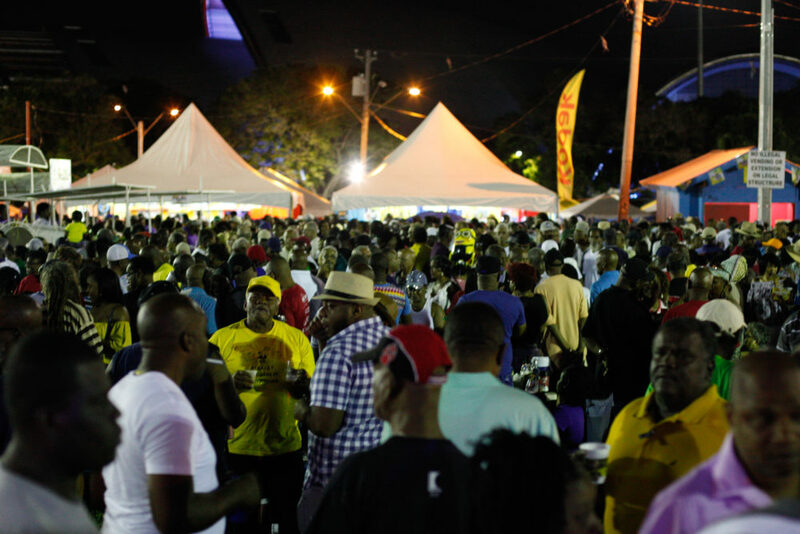 For the unfortunate many non-Trinis, the pan is taken as an entertaining Caribbean novelty. But walk into a panyard and you’ll have no such misconception any longer. 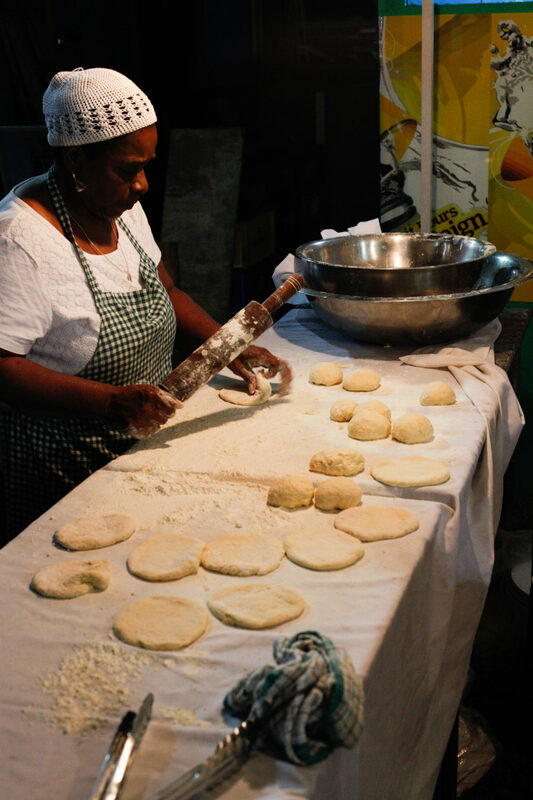 Pan is high art, a business, a national cornerstone; more a lifestyle than an instrument. 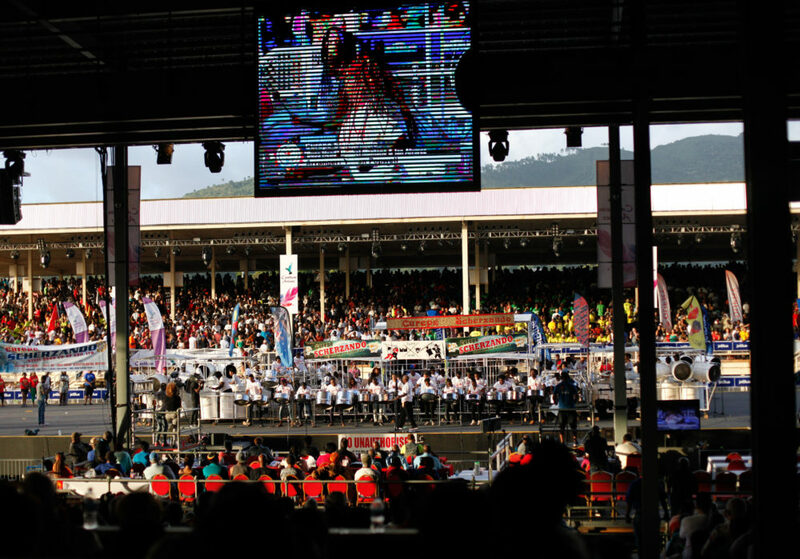 These pan orchestras are explosive, refined and awe inspiring. 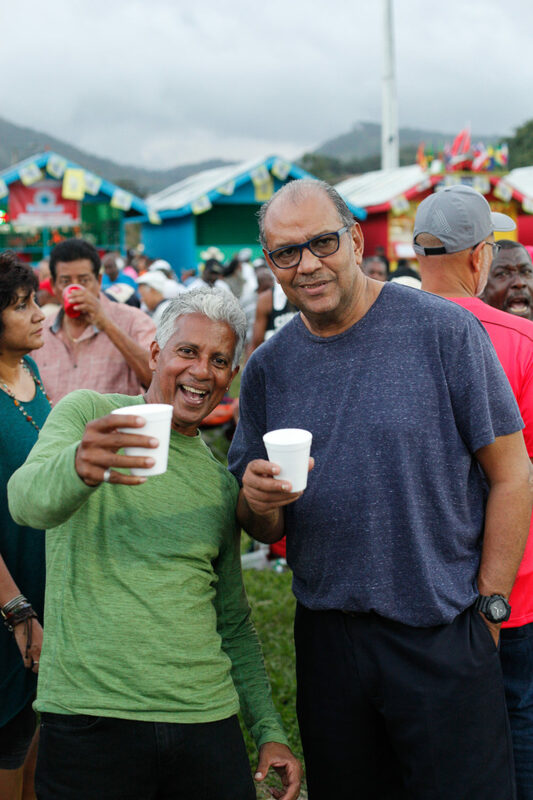 During Carnival season, the songs they play are mostly arrangements of the year’s soca hits, but they play anything from symphonies to salsa. 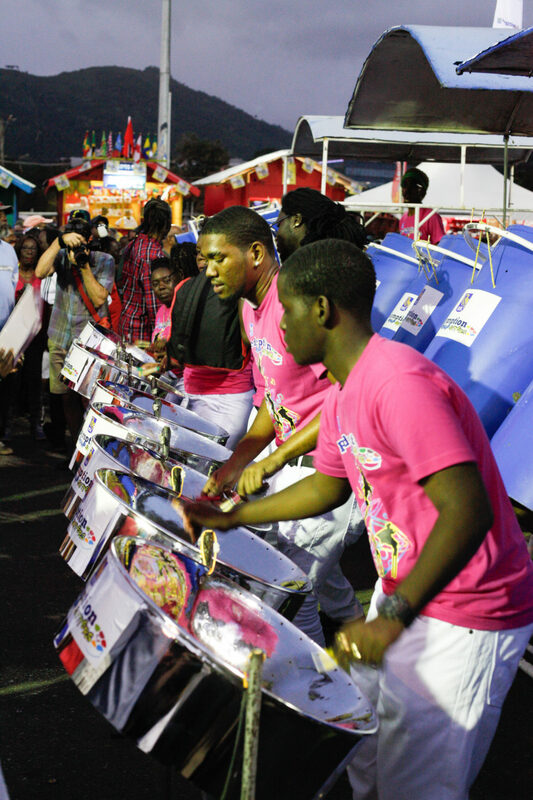 Some bands tour the world year-round, especially to Japan, Europe and the U.S. (traveling with these instruments is not easy, so some have pans stored in countries they frequently visit). 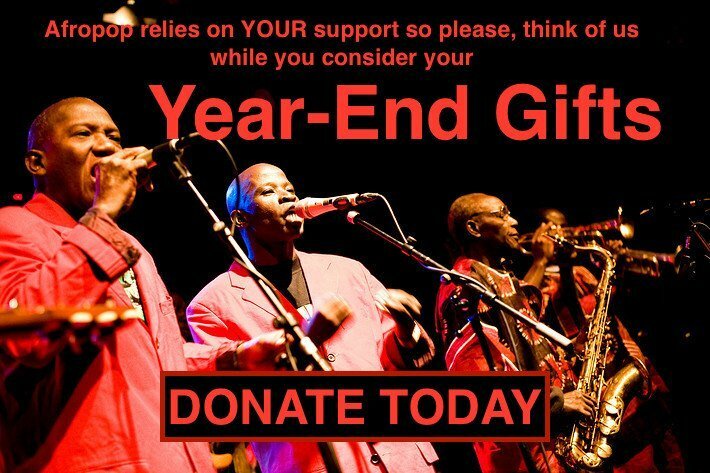 At the panyard, you get the whole picture behind the magic: the endless repetitions of tricky runs, the sectional rehearsals, the incrementally accelerating run-throughs of the full eight-minute arrangements and, no less important, the adoring support of the band’s diehard fans. All this is working up towards the main event: Panorama. 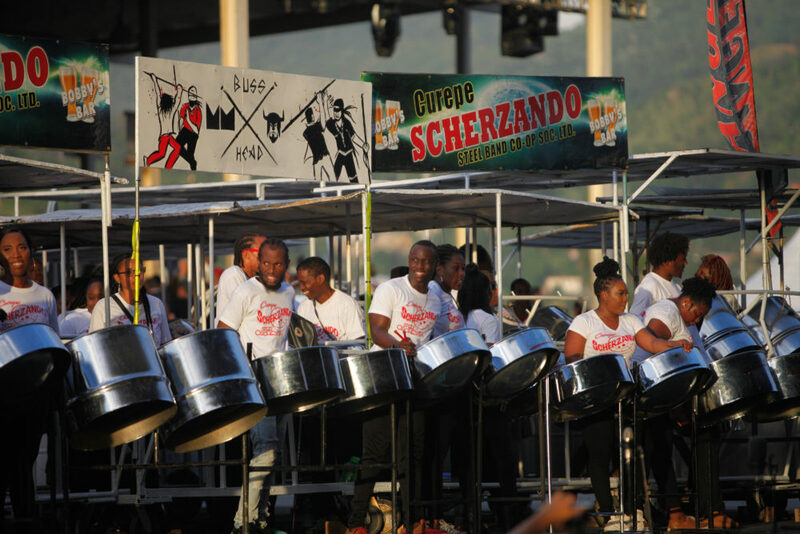 This coming Saturday, two days before Carnival Monday, 10 large bands (95-120 players) and 10 medium bands (60-90 players) will hit the massive stage in the Queens Park Savannah in Port of Spain. 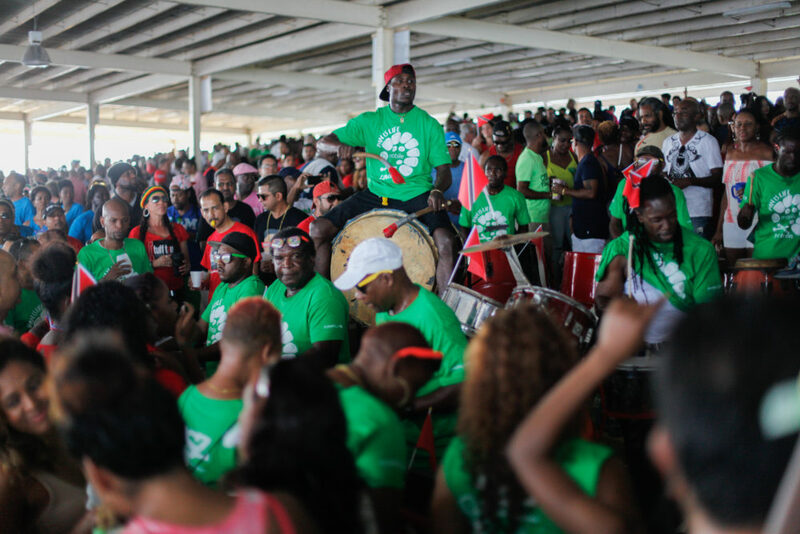 We’ll bring you the sights and sounds of Panorama next week, but for now, here’s a recap of last week’s Pan Semifinals at the Savannah. 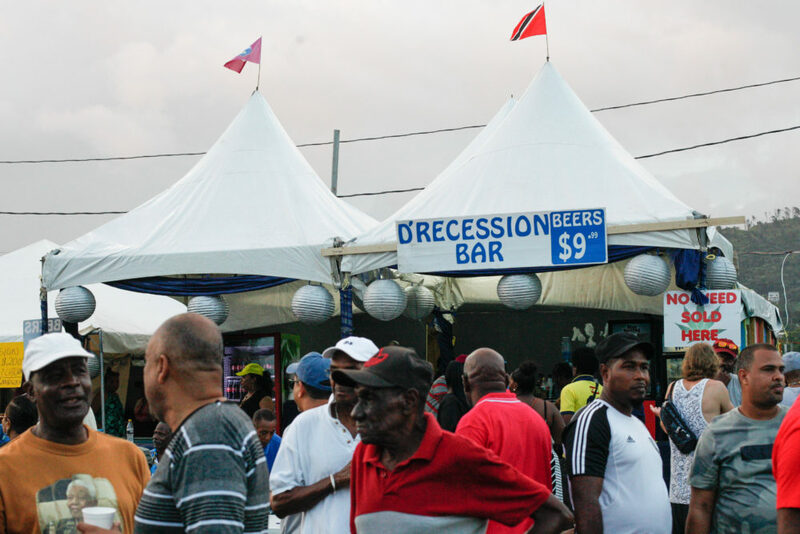 On their way up to the main stage, the bands line up along the “drag,” a road flanked by sheds selling food and alcohol in abundance and a sea of people eating, drinking and “liming” (A.K.A. hanging out). When one band is performing on the stage, the others behind set up, run through their songs, then move forward and repeat. 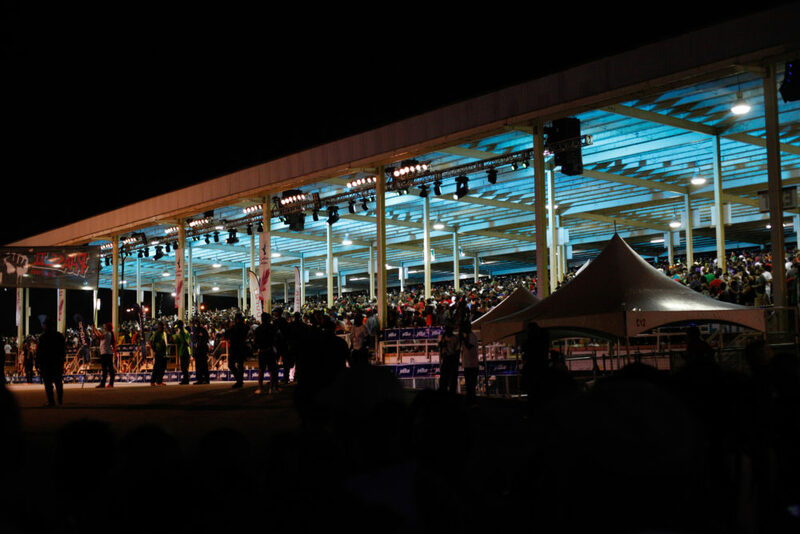 In this way, the people on the drag can see all of the bands without paying the steep price to fill the massive stands on either side of the stage. 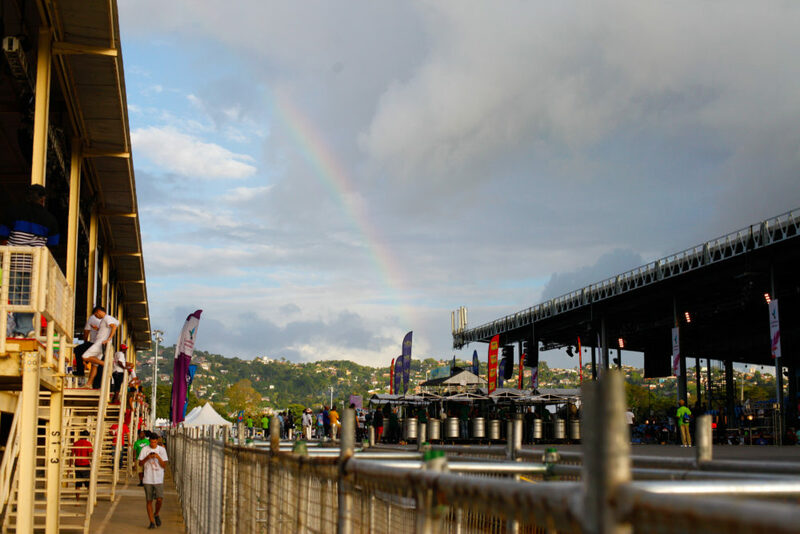 The scene on the drag is effervescent and vibes are brilliant as friends and families fill up on food and drink, waiting for their favorite band to roll up and play. 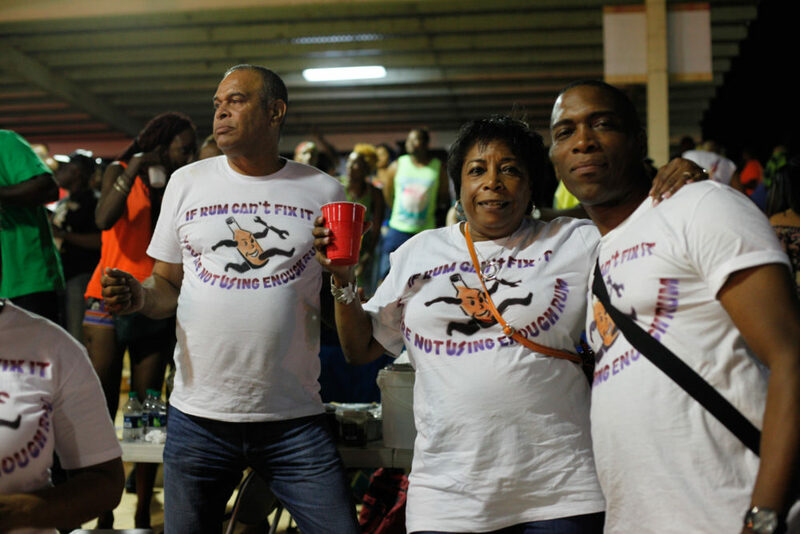 Up in the stands beside the stage, it is, as a friend described it, “pure bacchanal.” Many raucous crews in matching T-shirts set up tables with food and drink, laughing, shouting and, from time to time, listening to pan. 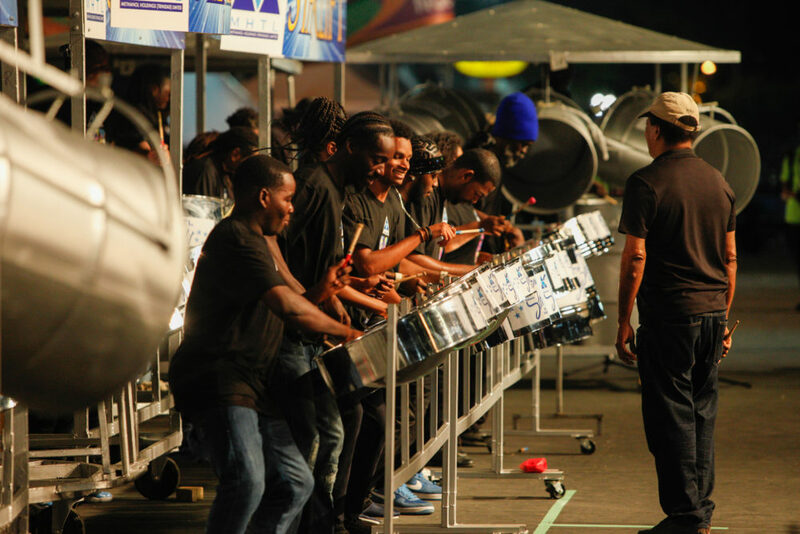 From the second one band finishes to the second the next starts, the rhythm sections let loose. 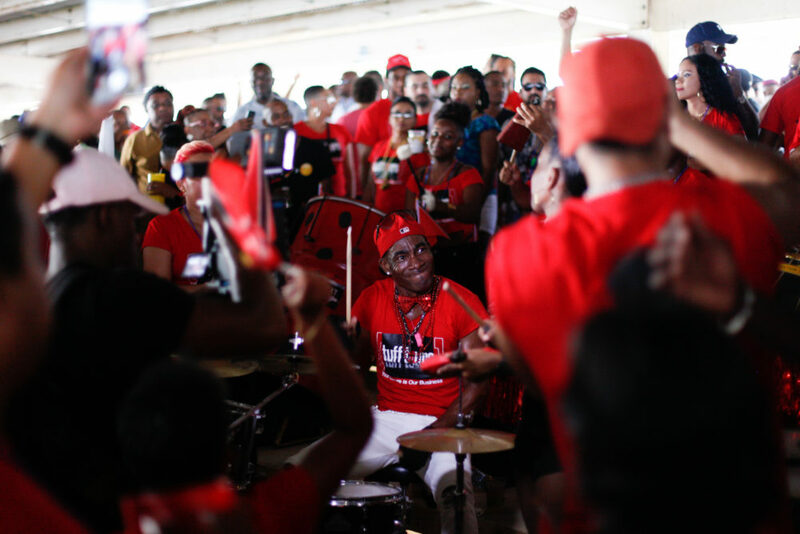 These are absolutely thunderous squads of drummers beating irresistible rhythms on huge barrel drums, snares, congas and iron car parts. 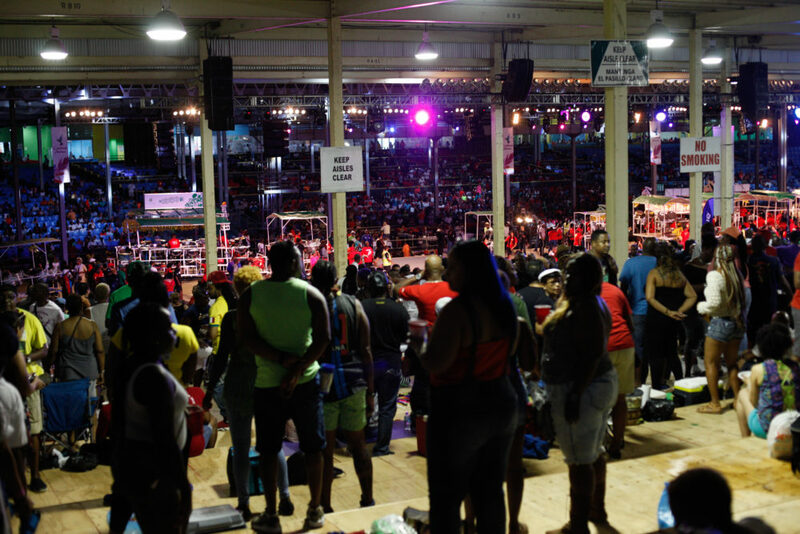 The stands are not for the weak of heart--this bacchanal drives strong from early afternoon straight through midnight or later. 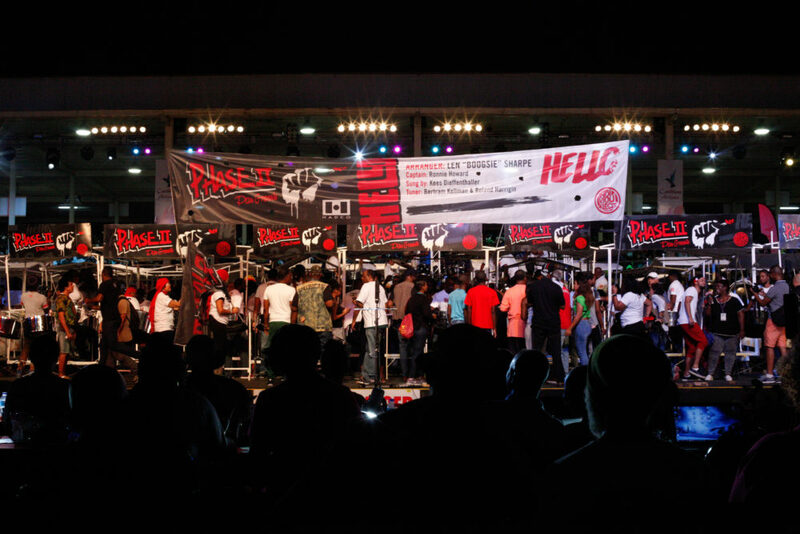 On stage, a lineup of 14 bands was winnowed to 10, with the BP Renegades leading the pack with a magnificent Duvone Stewart arrangement of the song “Year For Love” by Aaron “Voice” St. Louis. 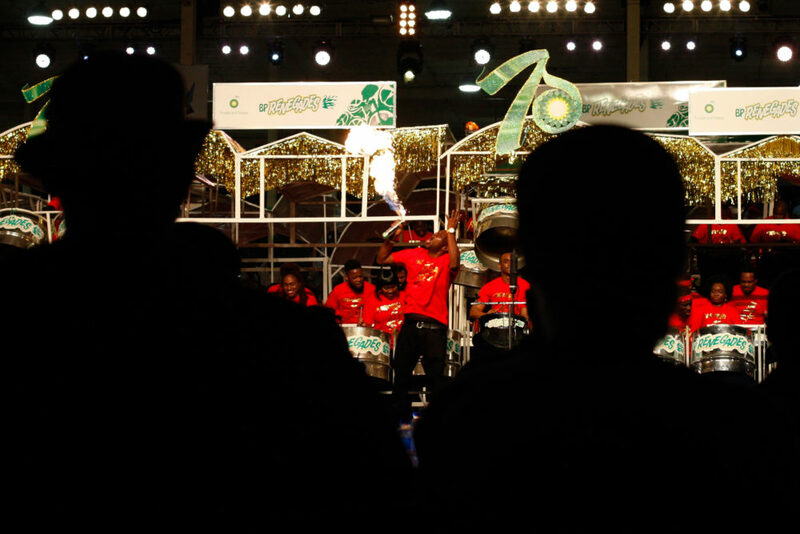 The chorus of the song sings “Fire go burn dem”--each time their arrangement came to the chorus, the bandleader pulled out a blowtorch and sprayed fire. 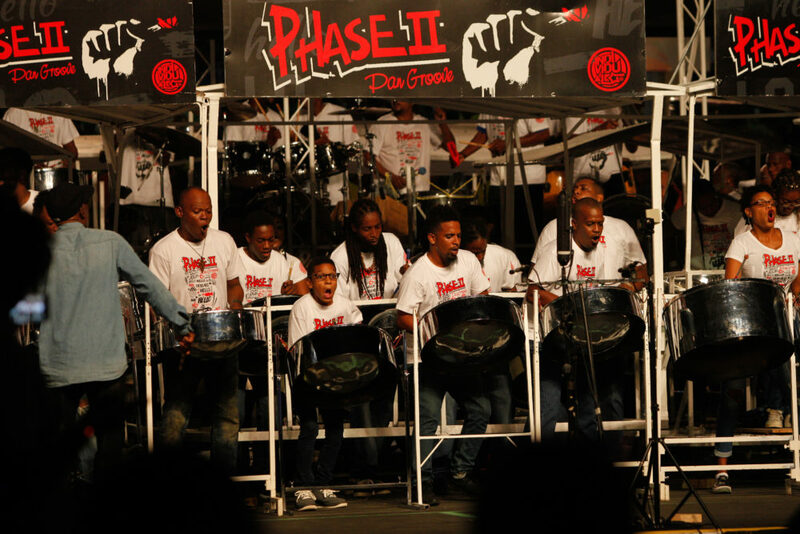 Phase II Pan Groove and Desperadoes Steel Orchestra came in a well-deserved second and third place. 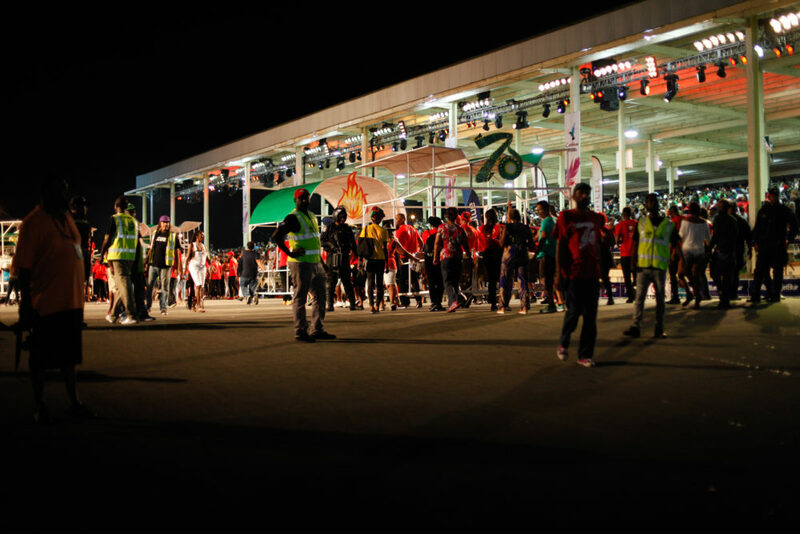 As the bands play, flag men and women dance around them, waving huge flags printed with the band’s name. 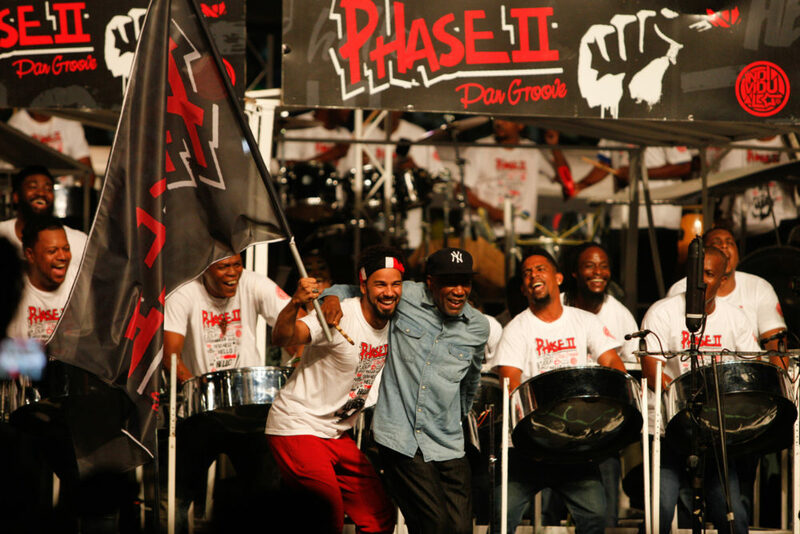 When Phase II was playing their arrangement of the soca hit “Hello” by Kes, none other than Kes himself was their flag man. 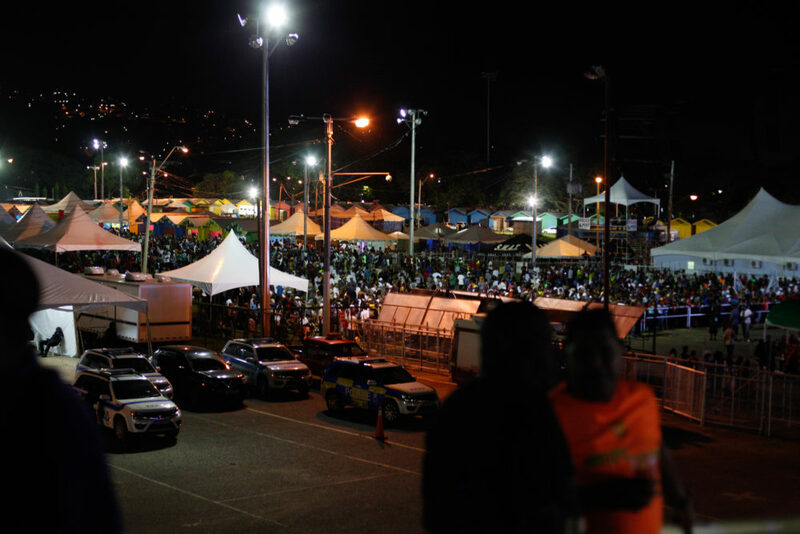 The Semifinals was a festival unto itself, so we can only expect a true spectacle come Panorama Saturday. 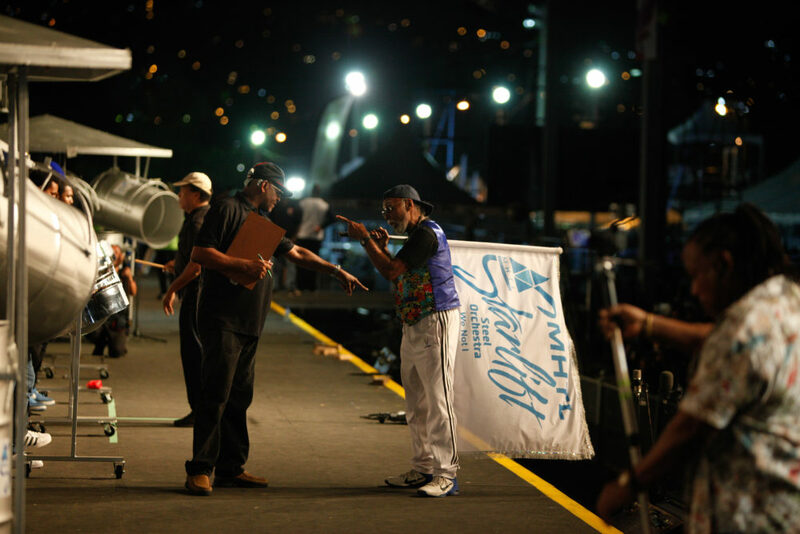 The bands are competing for TT$1,000,000 (around US$154,000) and will all be bringing the heat to make it happen. Who will win? 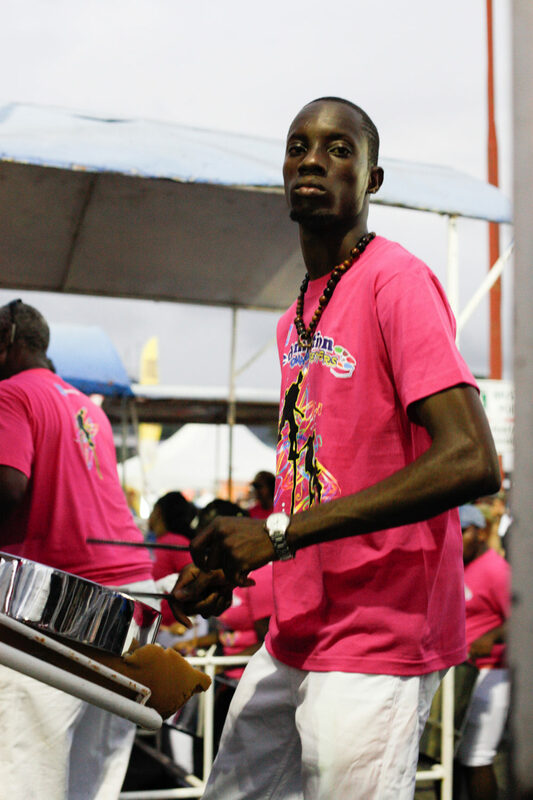 Although those top few bands all brought out some phenomenal stuff, there’s a good chance Renegades’ fire go burn dem.